Cool Air Solutions has provided Temecula CA air conditioning and heating solutions since 2006. Our services include installation, design, repair and maintenance for residential and commercial clients. Read our reviews below to learn why your Temecula CA call us first when they need help making or keeping thier home comfortable. Efficient, courteous and friendly. Great Job. Love Cool Air Solutions!!!! my first experience from the Cool Air service technician. they checked out my new system and offered a few recommendations to improve our satisfaction with the Lennox Heating and A/C system. Re: cost/pricing $98 for 30 minutes may be competitive but $196 an hour is expensive. Service arrived within a half hour due to nearby service, which was very convenient for us. Great service, Marvin was awesom! Arrived on time and very professional. This is hard to do as I feel they are doing the best they can but my issue, not being able to get the house warm when cold outside, is still happening. While the pricing of the service has been very good, I'm spending more on my utilities than I have in the past. Marvin saved us from a cold house when he came and figured out what was wrong with our heater and fixed it in no time. He was so thorough testing out our equipment and knew just what to do. Thank you! Excellent service, tech is very knowledgeable , friendly & works to please customer. Always on time,very polite and gets the job done. Marvin explained everything, all details, and future outlook of any possible future repairs. Very knowledgeable. Cool Air Solutions always the best! Consistently sets the bar for professionalism, courtesy and value! Michael provided excellent service on our heating system this week. Thank you, Michael. Professional service at a competive price with a smile. Tyler is a outstanding team member for Cool Air Solutions. Upon Arrival, Tyler explained what he was going to do. Inspect the furnace and test. Upon completion (40min) he explained his finding and adjustments made to the furnace. I appreciated the excellent customer service. Thank You Tyler. 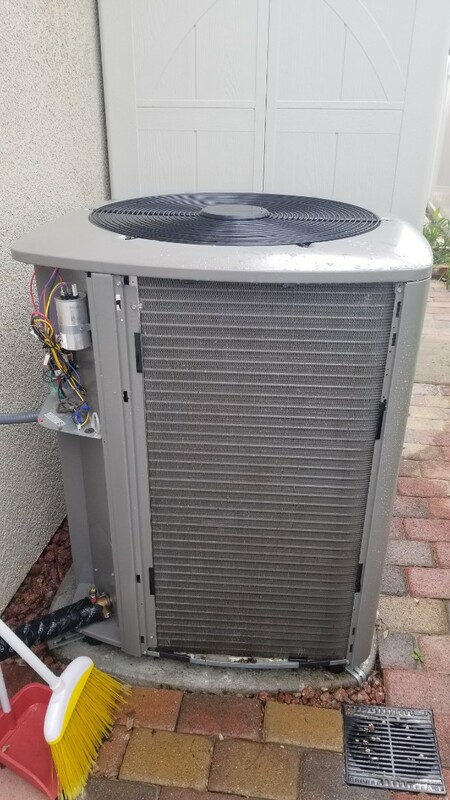 Performed routine spring maintenance on rheem package unit in temecula. 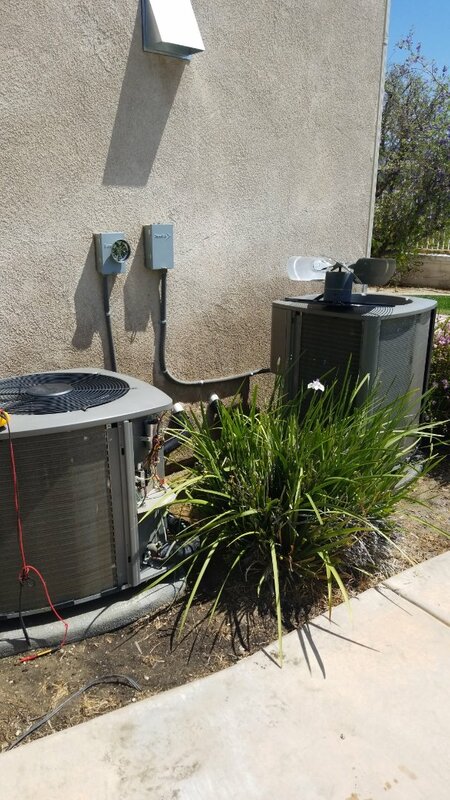 Two system cooling tune-up on Payne brand condensers in Temecula, Ca.